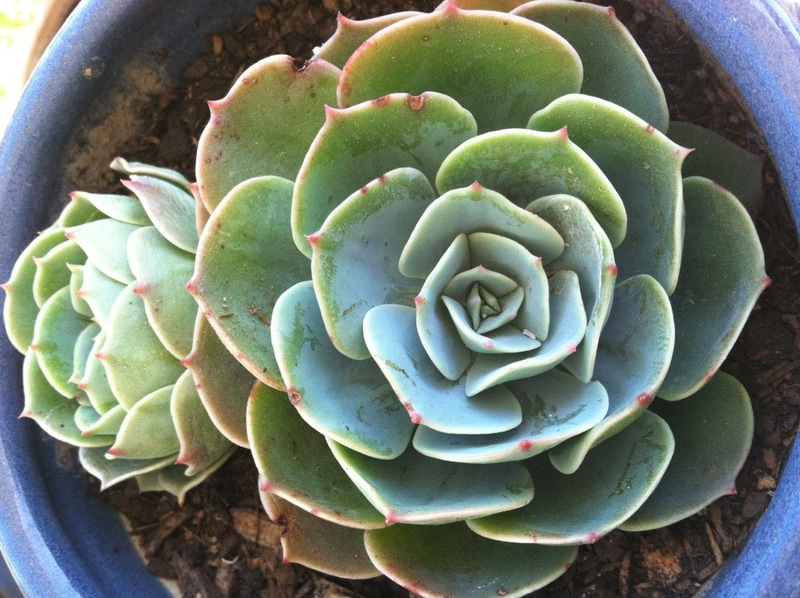 Recently I noticed that my neighbor had several babies growing on one of her succulent plants. I asked her if she was planning to propagate them and she said she had no idea how and I was welcome to them if I wanted. I was thrilled to get so many new plants for free, but I felt bad that she couldn’t do it herself since its so easy. 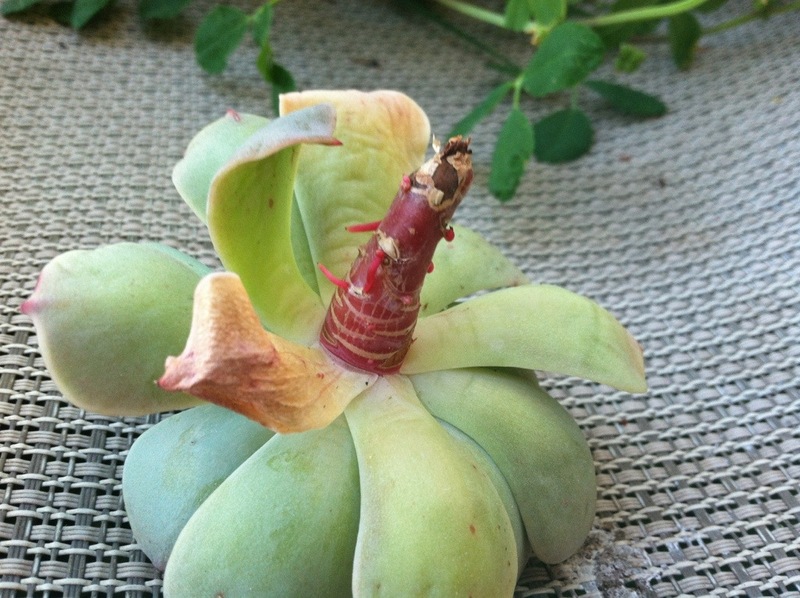 So today I wanted to show you all how to propagate your (or your neighbors) succulents. 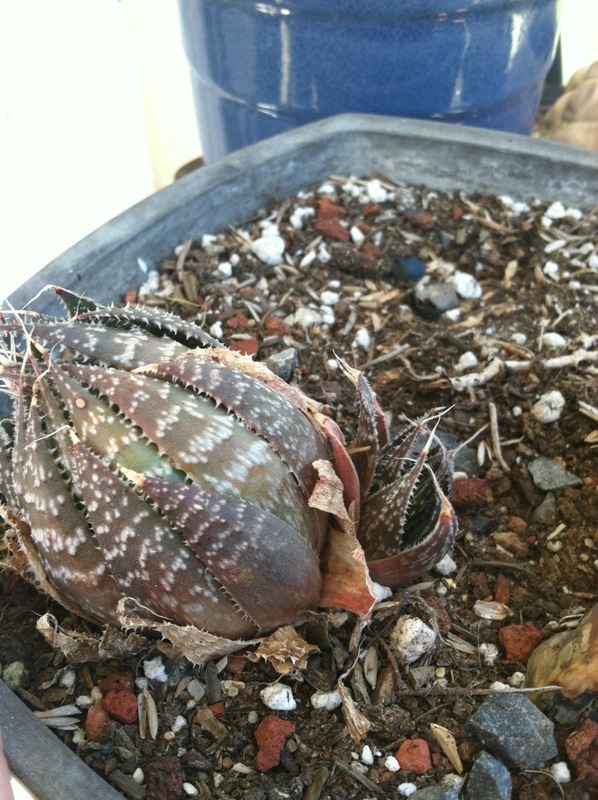 Succulent babies often grow at the base of the mother succulent. In the picture below you can see a baby growing at dirt level right out of the side of its mother. Get a clean pair of scissors or clippers and cut as close to the base of the mother plant as possible leaving a stem on the baby plant. Leave the baby outside on a bench in the shade for a few days so the cut end can dry out and so new roots begin to grow. After roots form it’s time to plant. Clean a decorative plant pot with hot soapy water and dry. This is to kill any fungi that are waiting to infect your sensitive baby. Fill the pot with succulent soil mix and stick the stem of your baby plant into the soil and gently press the soil to secure. Give it a little water and place in a partly sunny location. Water your babies just a tiny bit once a week. If you want to check to see if roots have formed gently tug on the baby. If there is resistance then roots have begun to form. If not, give it a couple weeks and try again.